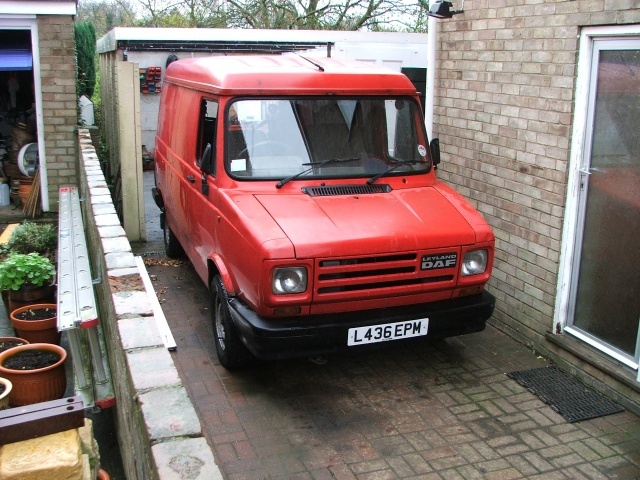 Purchased an ex post office 200 series van. 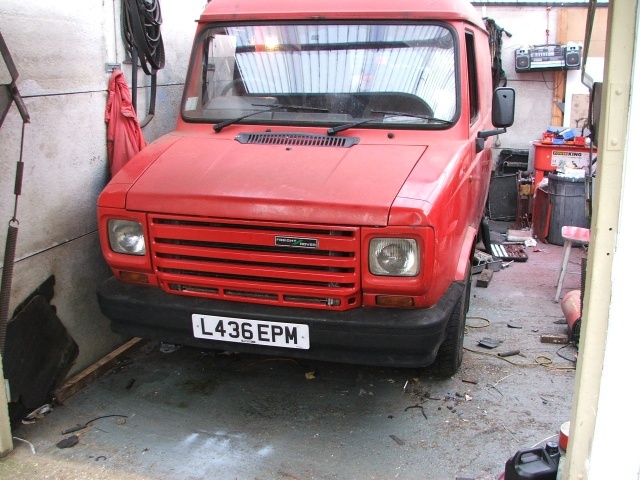 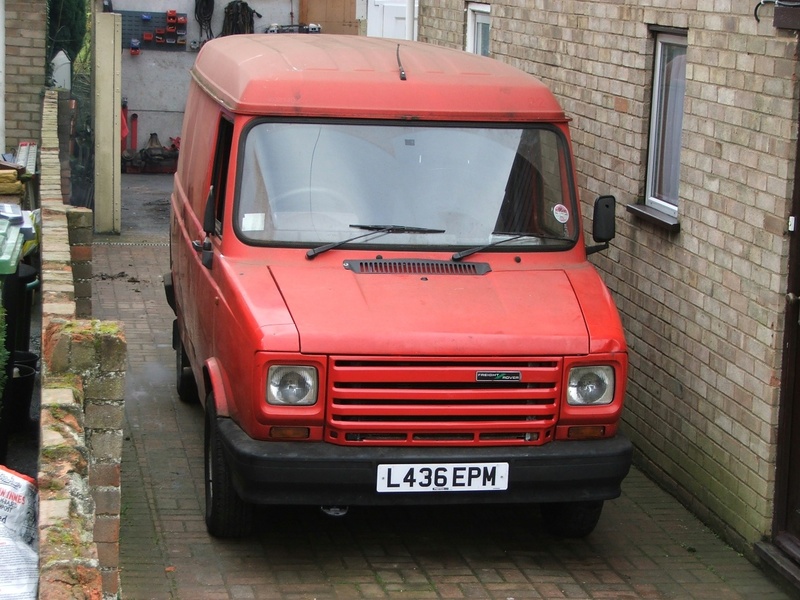 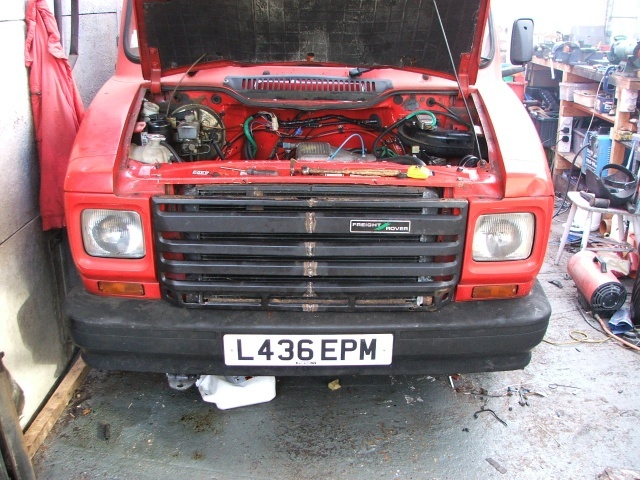 4th Feb 2005 - the Van passes it's MOT and is legally on the road! 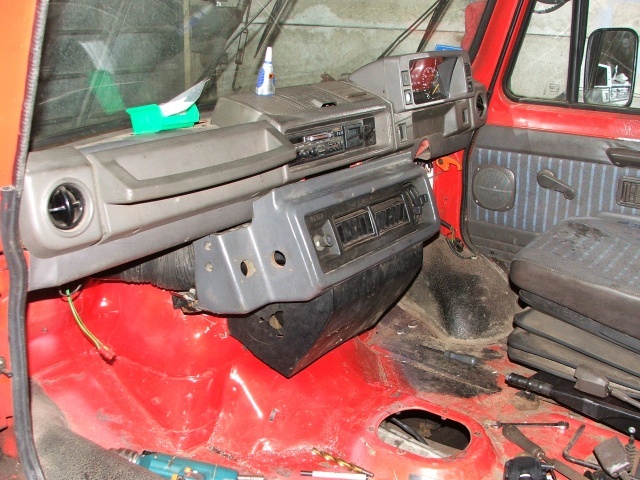 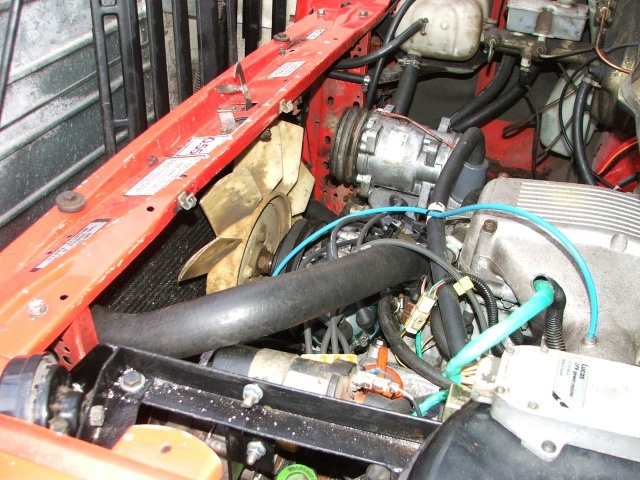 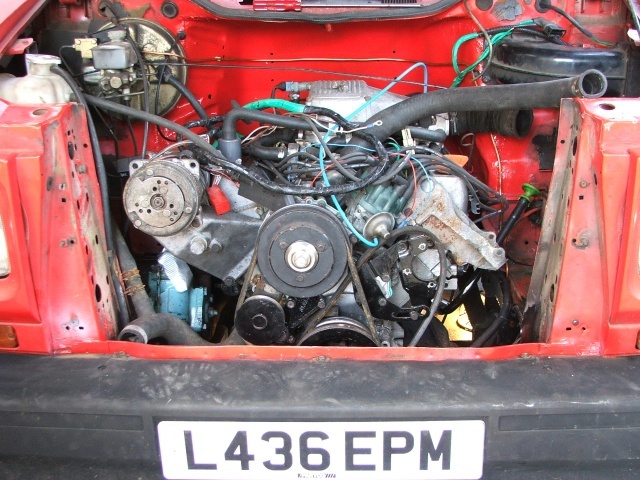 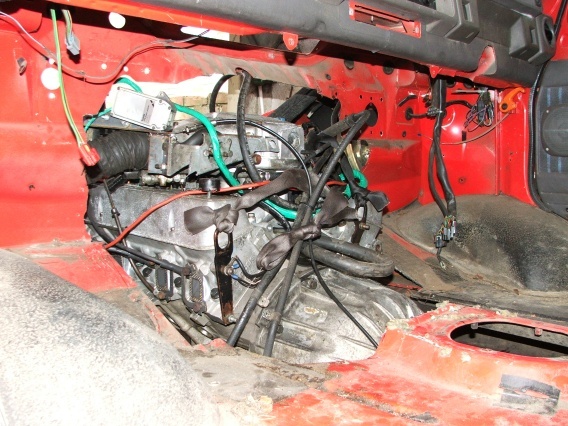 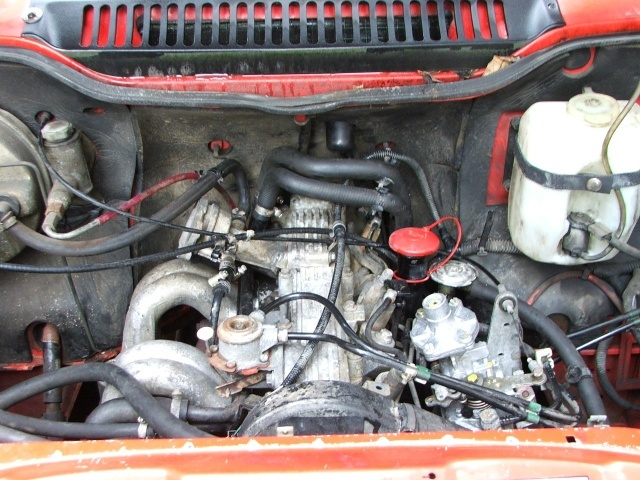 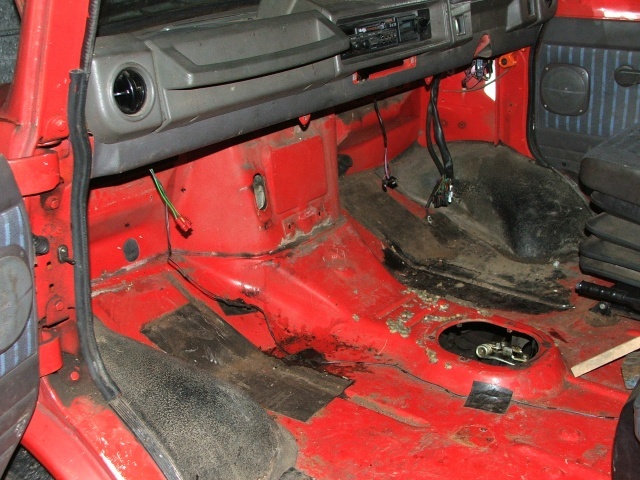 The biggest problem fitting a V8 into a 200series sherpa is the lack of space in the engine compartment. 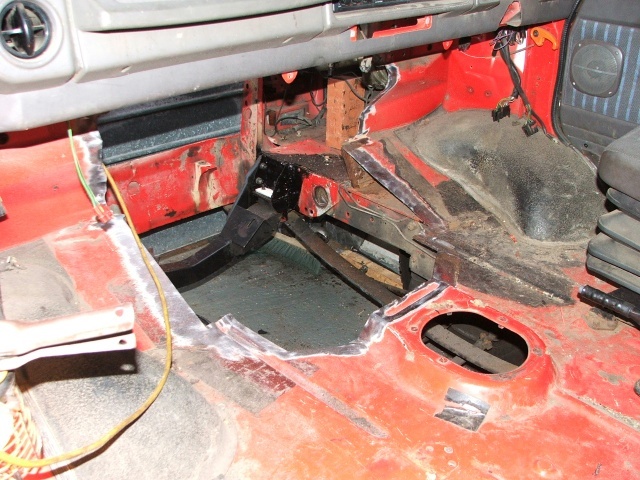 I took a careful look at the 400 series and decided that the central portion of the bulkhead would weld nicely over a suitably cut hole in the 200series. 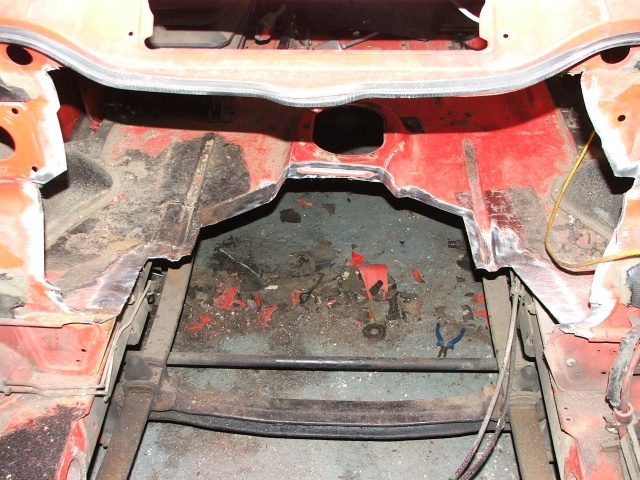 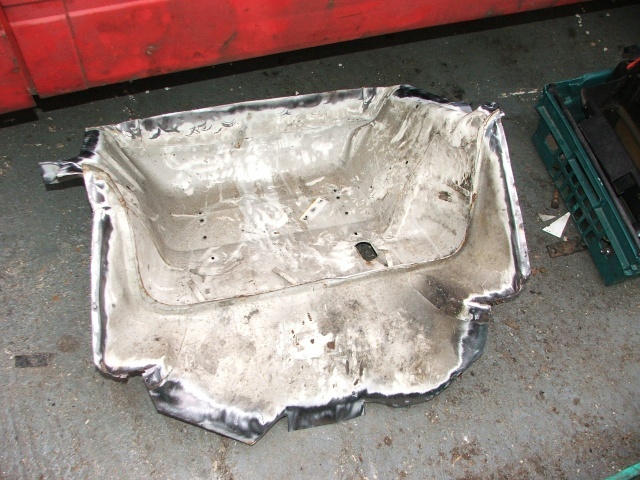 So all I had to do was cut a hole in the bulkhead and weld the relevant section of E271KUL over the hole. 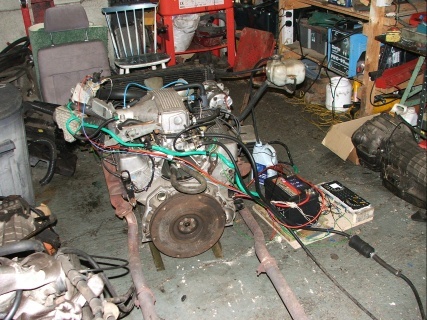 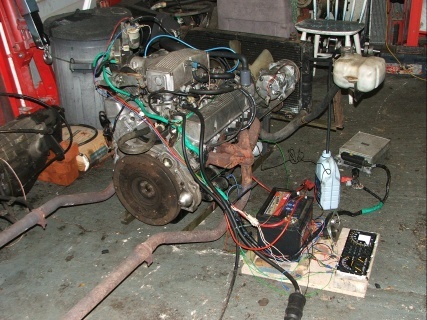 Partway through that process, it made sense to see if the engine would fit, and where the engine cross member should go. 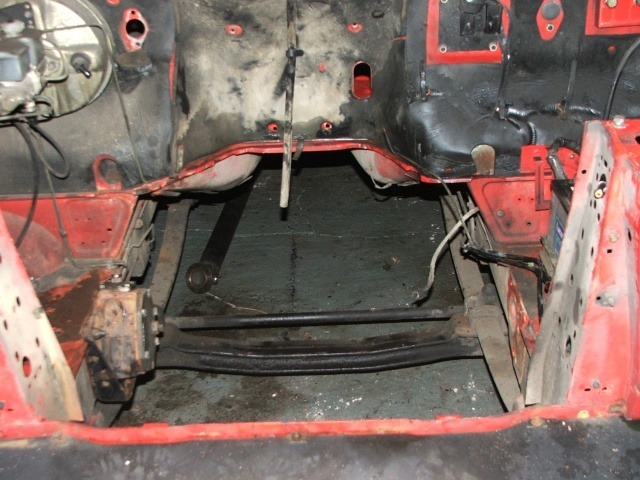 The heater should be easy, but some fettling was required as I failed to notice a slight difference between the bulkheads. 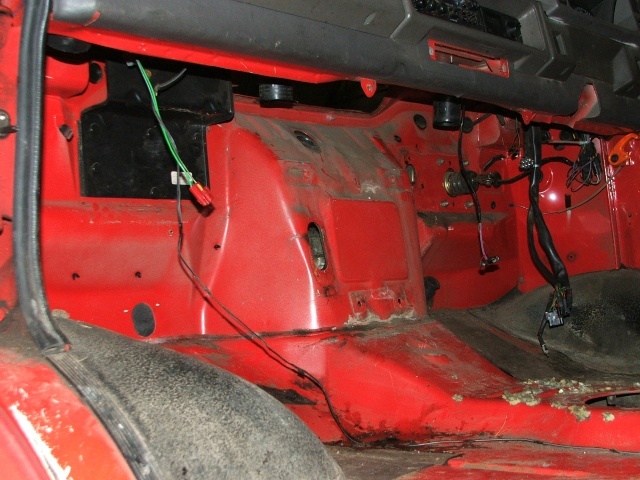 Hence the heater is mounted about 10mm lower than it should be. 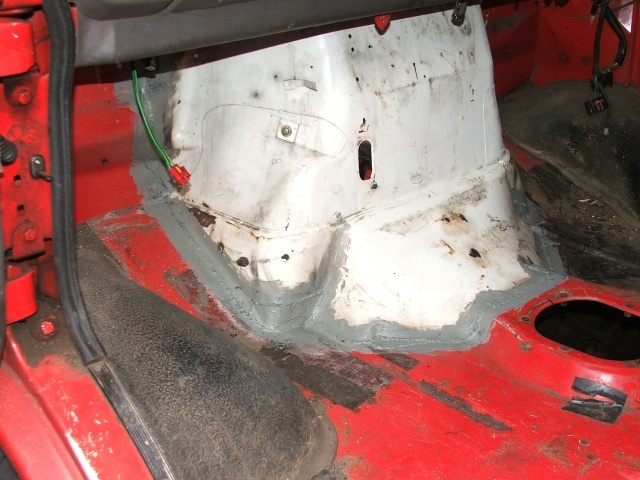 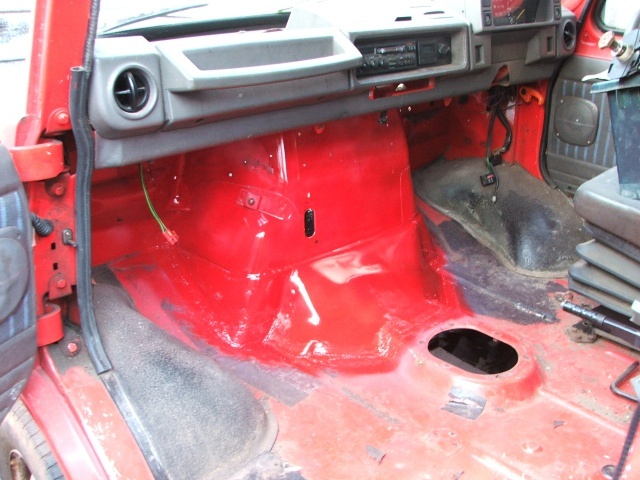 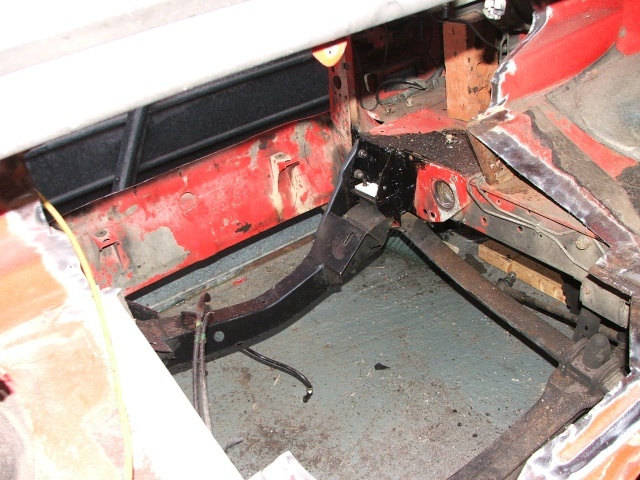 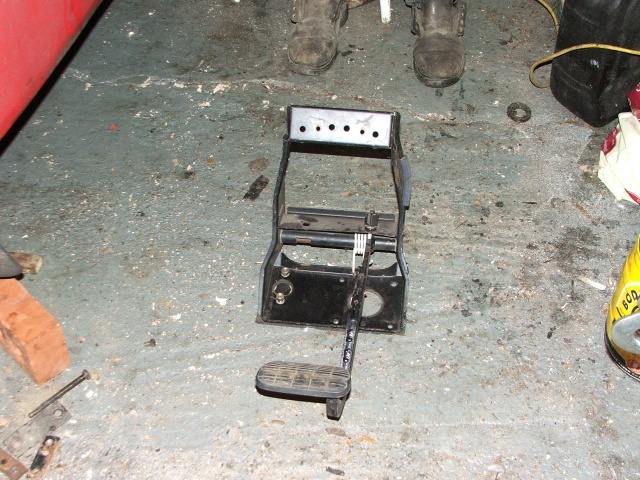 The pedal box was now too wide, so it had to be made narrower to fit back onto the bulkhead. 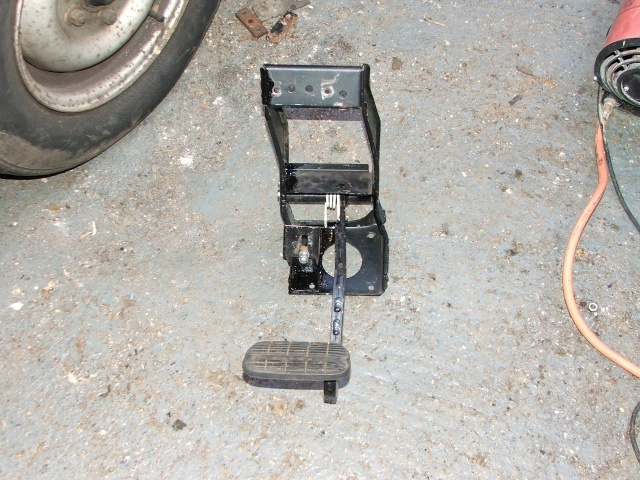 Lucky I didn't need a clutch pedal! 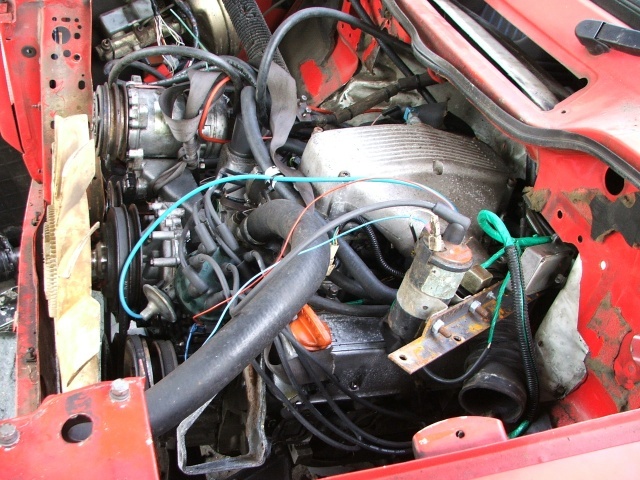 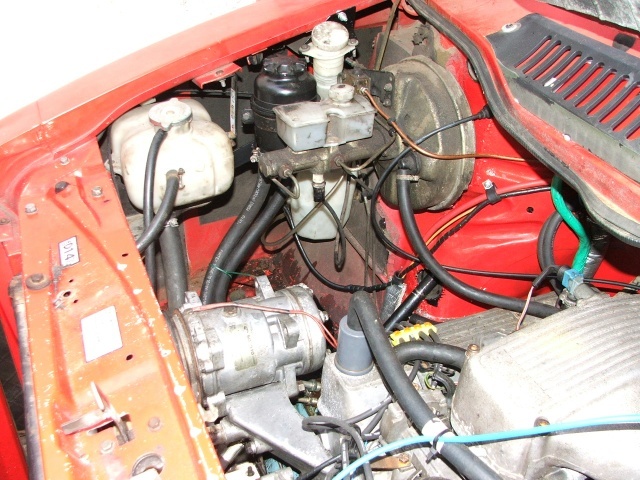 Fuel Injection engines generally have a nice electric fuel pump near the tank (often inside it). 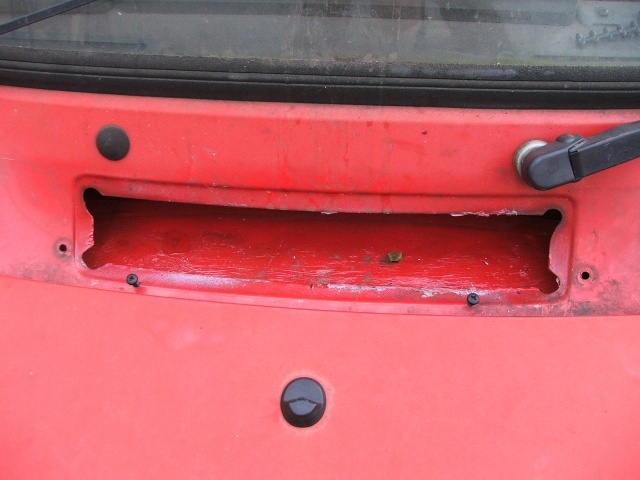 I made a little bracket and mounted it above the tank at the rear of the van. 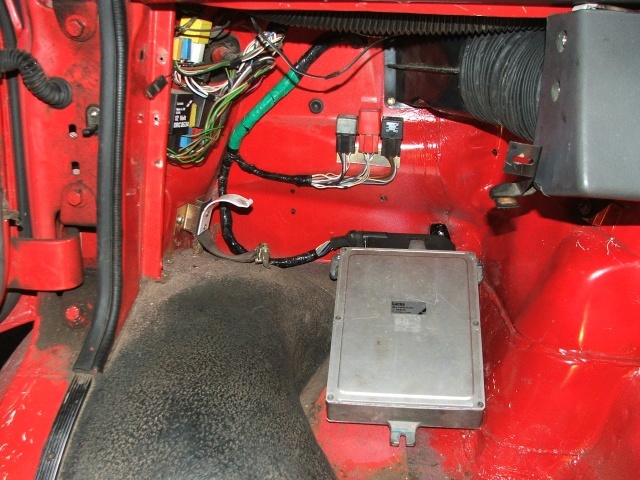 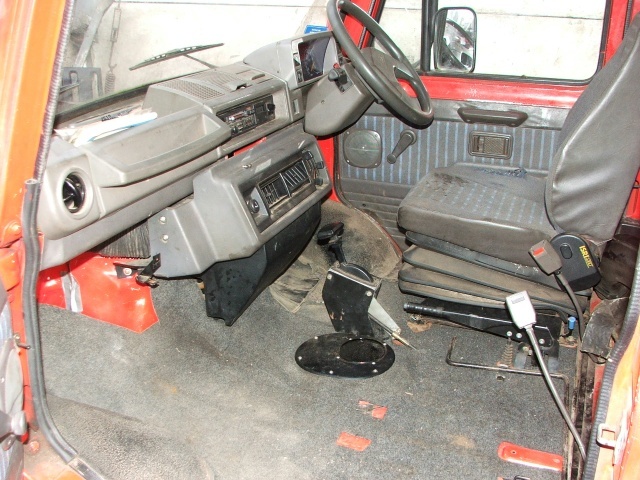 The existing wiring loom on the van has a convenient multiplug in the engine compartment which brings all engine related signals to the same point. 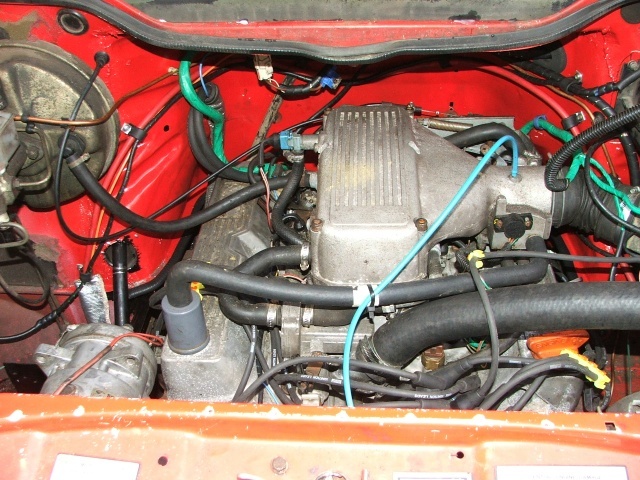 Equally handily the 3.5 EFi system has a 4 pin multiplug which provides everything it needs. 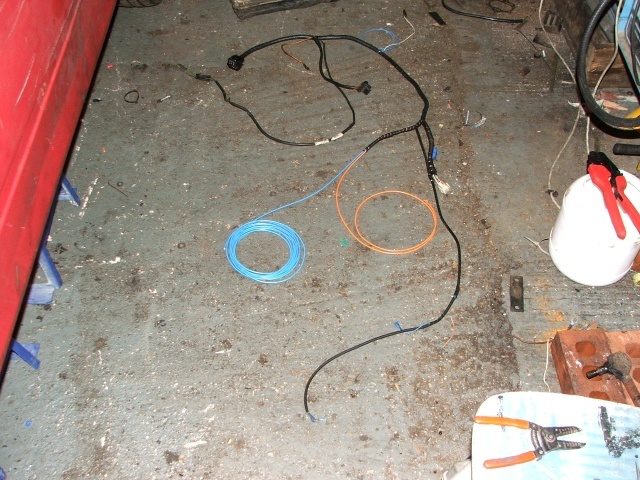 So I made a joining loom based on the old Diesel loom for the multiplug and a bit of ingenuity for the EFi multiplug. 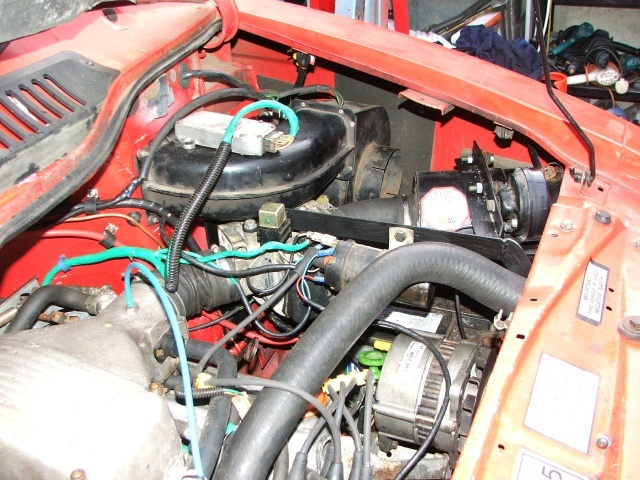 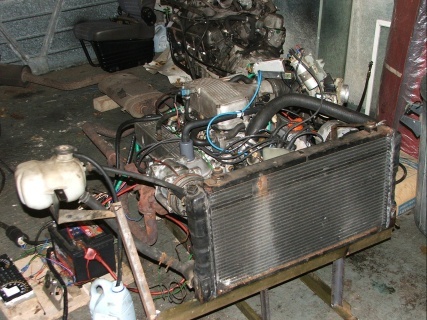 The V8 is much longer than the old 4 cylinder Diesel, so the radiator has to go above the front bumper. 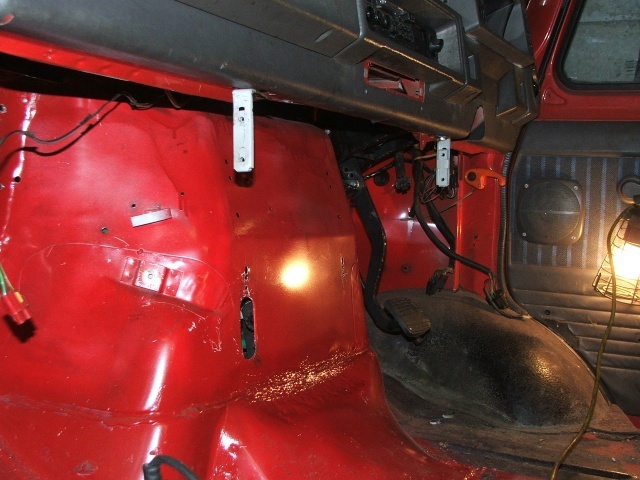 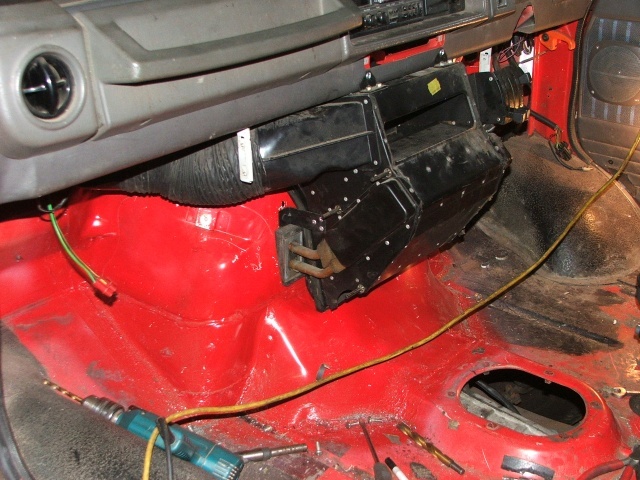 That entails moving the rad mounts from behind the front crossmember and reattaching them to the front. 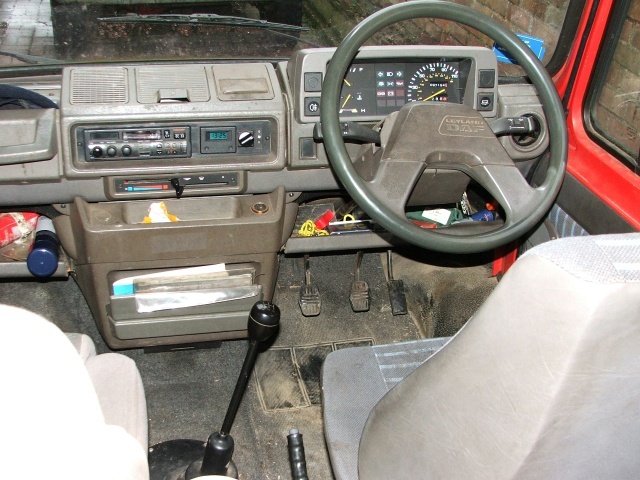 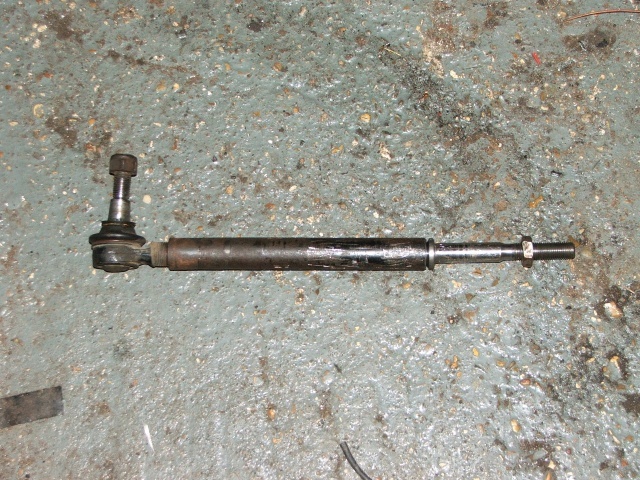 I decided to fit power steering, so I obtained a steering box supposedly from a 200 series. 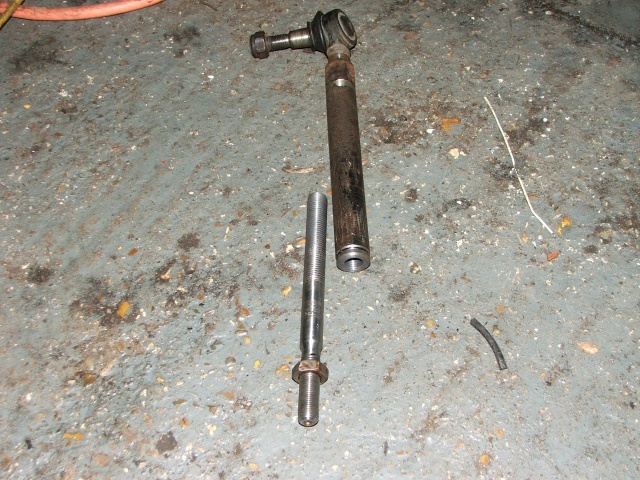 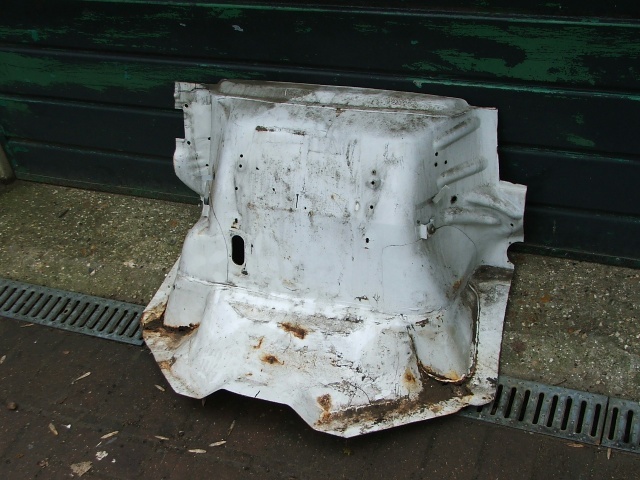 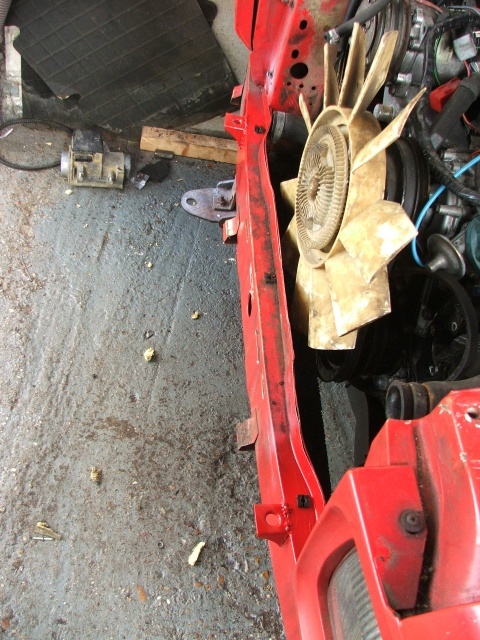 Although the box fitted the chassis, the ball-joint taper in the drop arm was larger than the one that came off. 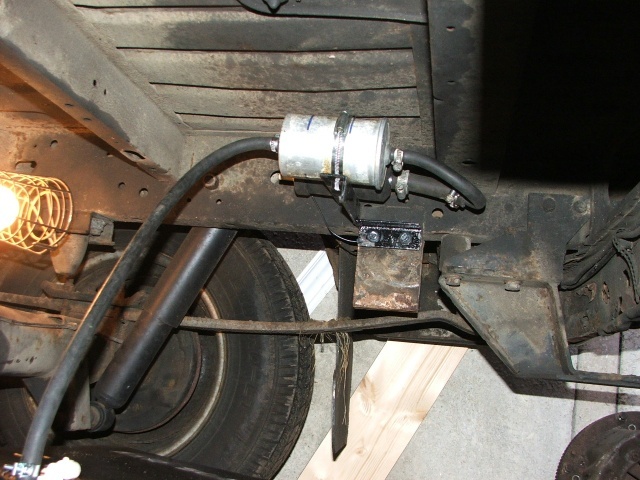 So a colleage of mine made an insert and tapped / threaded the various linkages that I had to enable a drag link to be made that had odd size ball-joints at the ends. 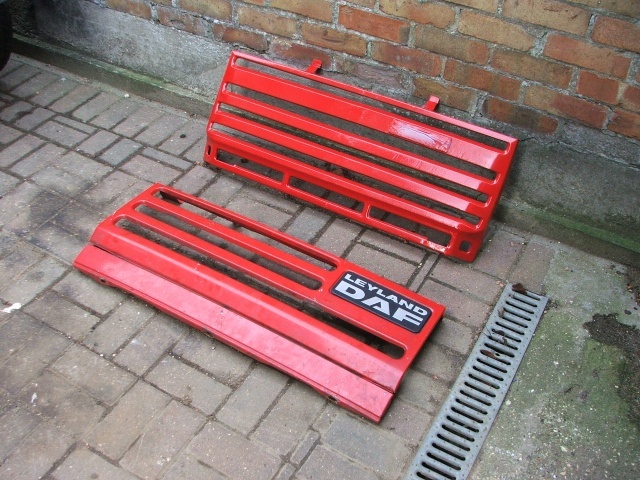 Once assembled, I welded it up and painted it. 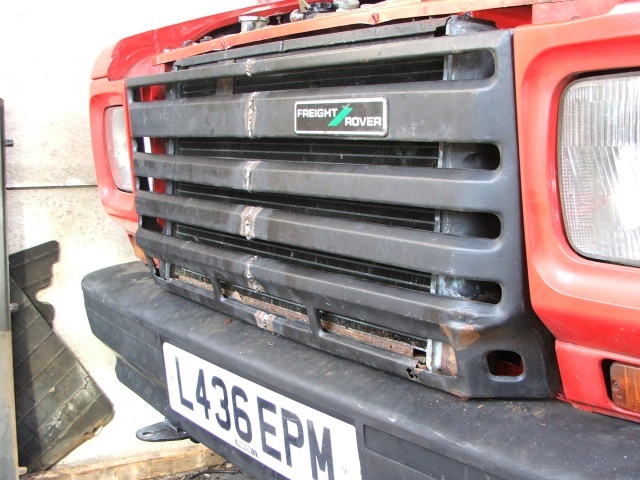 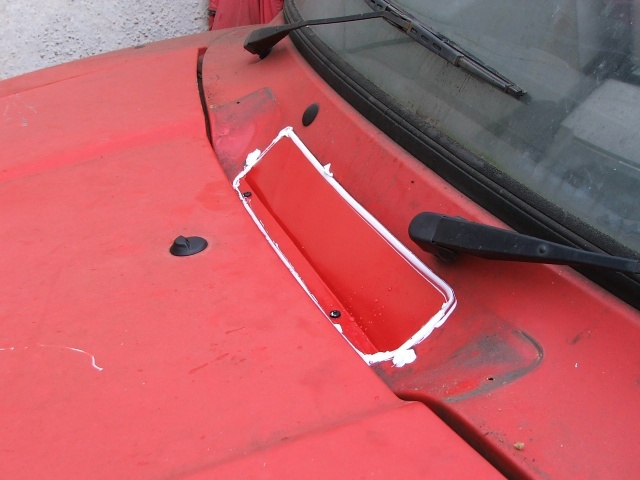 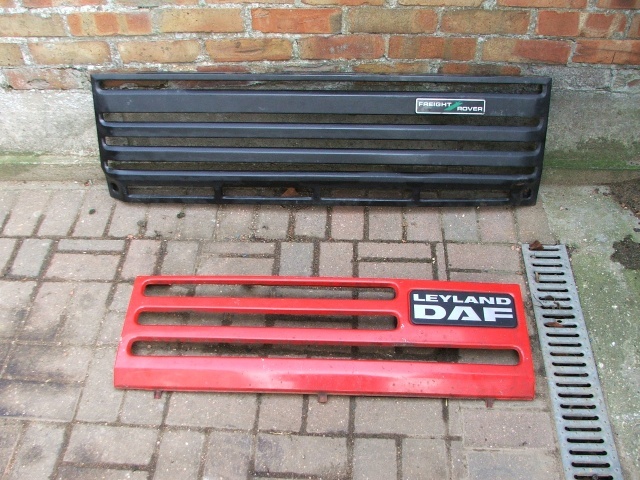 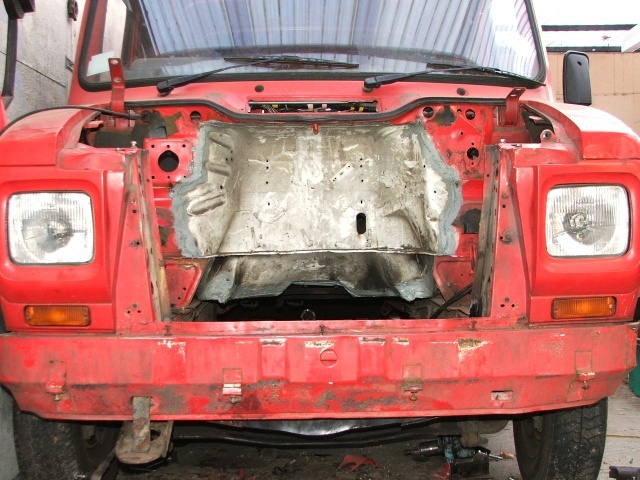 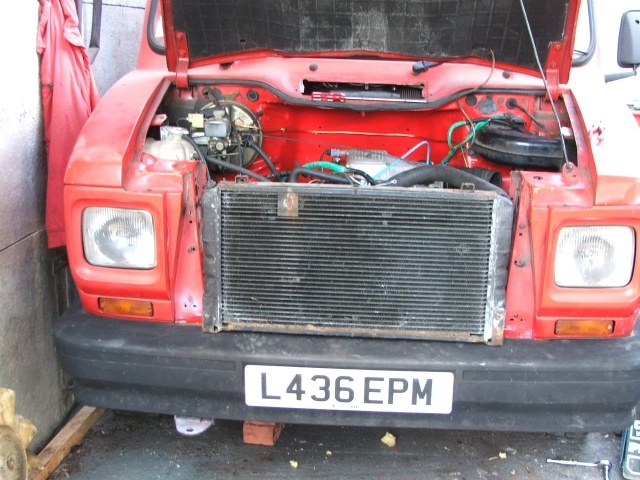 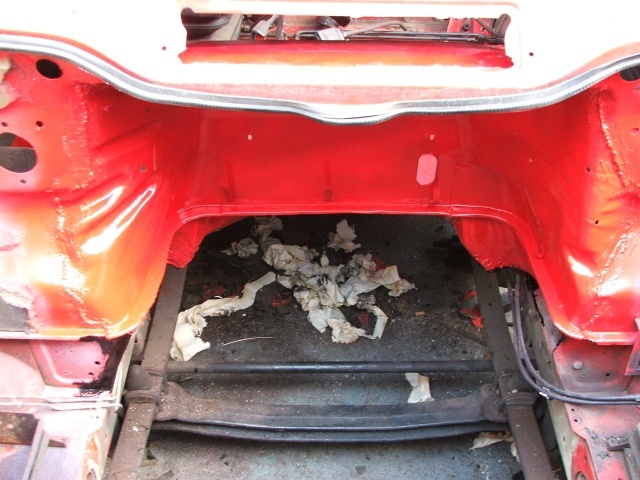 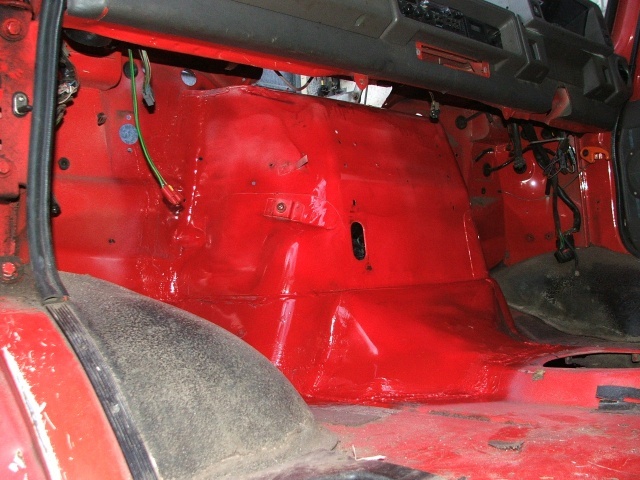 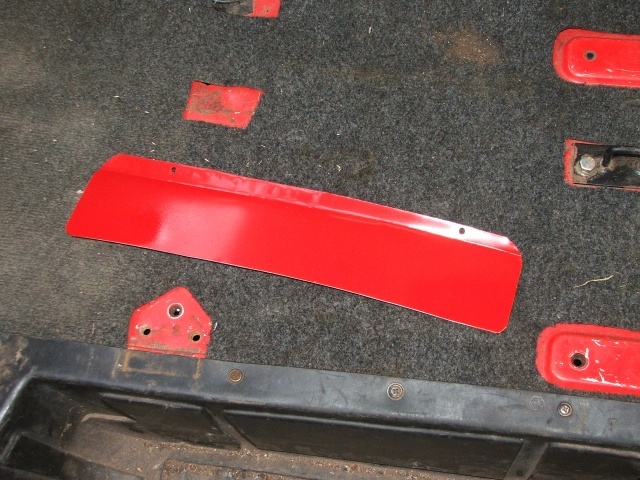 As the radiator is now mounted above the front bumper, the original radiator grille won't fit. 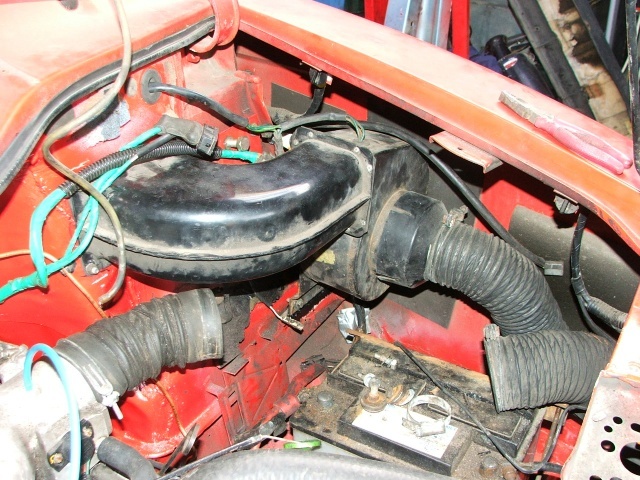 So I modified a 400 series one to fit.